Hey, how about snacking on some yummy Lay’s Toothpaste and Orange Juice-flavored potato chips? No? That doesn’t sound appetizing? How about Lay’s Pickles and Ice Cream-flavored potato chips instead? Lay’s Haggis and Watermelon potato chips? Hot Ham Water-flavored potato chips? Government Cheese potato chips? What? Those don’t sound tasty? Maybe that’s why none of those flavors ever made the cut in the Lay’s annual “Do Us a Flavor” contest, in which anyone can pitch their own potato chip flavor for a shot at winning $1 million. Now Lay’s is running the contest again, and you have until March 19 to submit your flavor here. Maybe the following flavors are more to your liking: Lay’s Southern Biscuits and Gravy potato chips. Cheesy Garlic Bread potato chips. Kettle Cooked Wasabi Ginger potato chips. Sound better? That’s because those were the last three contest winners. You’ll go here to create your potato chip flavor. You’ll get a chance to pitch your flavor idea by uploading a YouTube video, photo or written inspiration. You’ll name your flavor, choose up to three ingredients and customize your own Lay’s potato chip bag. But first, for inspiration, you should go here to see what flavors other contestants have entered the contest. (Warning: This website is an absolutely addictive time killer.) This is basically an endless gallery of whacked-out potato chip flavors. It’s like Tinder for chips. A few of the choices sound mouth-watering. Personally, I want the Chipotle BBQ with Bacon potato chips. I would plow through a whole bag of those things in one sitting. Other choices are, well, sort of intriguing: Lay’s Garlic Hummus potato chips. Caramel Apple. Chicken Honey Mustard. Loaded Baked Potato. Creme Brulee. The Traditional Sunday Lamb Roast potato chips might have potential. Then there the ones that make us shudder in horror and revulsion, like Toenail Fungus potato chips. Arrggghh! I can’t unsee it! Once the entry period closes on March 19, a panel of judges made up of chefs, foodies and flavor experts will narrow the flavors to 10 semi-finalists. Then, the judges will choose three finalists. After Frito-Lay’s flying squadrons of culinary engineers fully develop each of the three flavor finalists, the new chips will appear on store shelves on or around July 30, 2017. Potato chip lovers will vote for their favorite, and the winner will take home a cool $1 million this fall. The two runners-up win $50,000 apiece, while the seven semi-finalists get $10,000 each for their efforts. For a little perspective, let’s review how the last three “Do Us a Flavor” contests played out. In 2014, Kettle Cooked Wasabi Ginger beat out Cheddar Bacon Mac & Cheese, Wavy Mango Salsa and Cappuccino. In 2015, Southern Biscuits & Gravy beat out Kettle Cooked Greektown Gyro, New York Reuben and Wavy West Coast Truffle Fries. In 2016, Lay’s skipped “Do Us a Flavor” and instead did an Olympic-themed contest and a “Flavor Swap” promotion. Now the contest is back. And while some competitors are taking it seriously, others are just making a little mischief, having their wicked way with the Lay’s contest website. Because this is the internet. And some people just want to watch the world burn, man. You kind of have to admire the smartass who suggested Doritos-flavored Lay’s potato chips. Since the very beginning of “Do Us a Flavor” in 2013, there’s been no shortage of gross and/or ironic flavors submitted. And plenty of websites have rounded up their favorites, like Gas Station Sushi potato chips, Diet Mountain Dew potato chips or Unicorn Meat potato chips. There’s always Anthrax Ripple or Meth-flavored potato chips. Or the always-popular Salty Tears of Regret-flavored chips. If you have a potato chip flavor in mind, the clock is ticking. You have about two weeks left to get in on this year’s contest. Go ahead. You’ve got this in the bag. 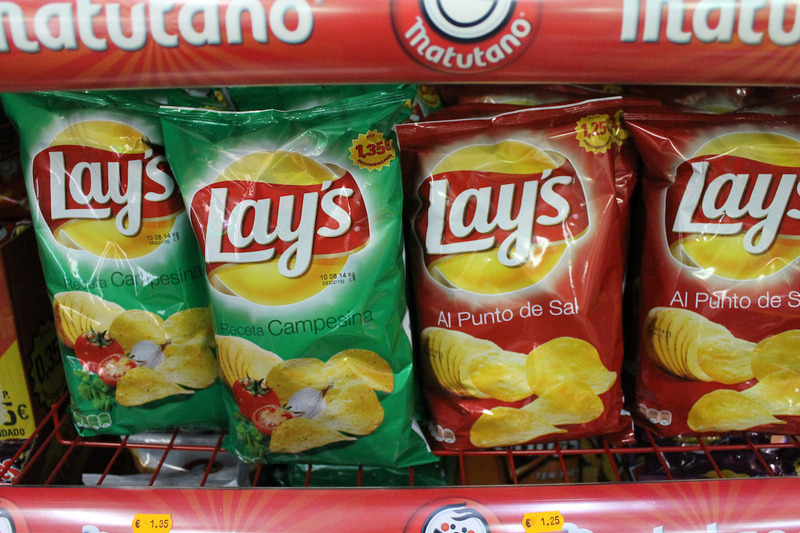 Your Turn: What’s your favorite potato chip flavor? Mike Brassfield ([email protected]) is a senior writer at The Penny Hoarder. He kind of wants some of those Lay’s Cheddar Bacon Mac & Cheese chips that were a runner-up in 2014.